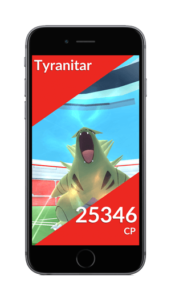 Pokemon GO TM(s) have two types – Fast TM (Quick Moves) and Charged TM (Charge Moves). The full abbreviation is Technical Machines, items that you can use to permanently teach a Pokémon a new Fast Attack or Charged Attack. These TM items are dropped and obtained after successfully defeating a Pokemon GO Raid Boss. The TM Tier List also known as the Pokemon GO Moves Tier List, consist of the Best Moves from each type for both Fast and Charged Attack Moves. How It Works Teaches your Pokemon a NEW Random Fast Move. These are the Best Fast Attack Moves based on DPS (Damage Per Second). How It Works Teaches your Pokemon a NEW Random Charged Move. These are the Best Charged Attack Moves based on DPS (Damage Per Second). What is a TM in Pokemon GO? TM is short for Technical Machines. These items allow you to “reroll” Teach your Pokemon a NEW Random Fast or Charged Attack Move. You can use multiple TMs on the same Pokemon, and cannot learn the same move you just “rerolled”.